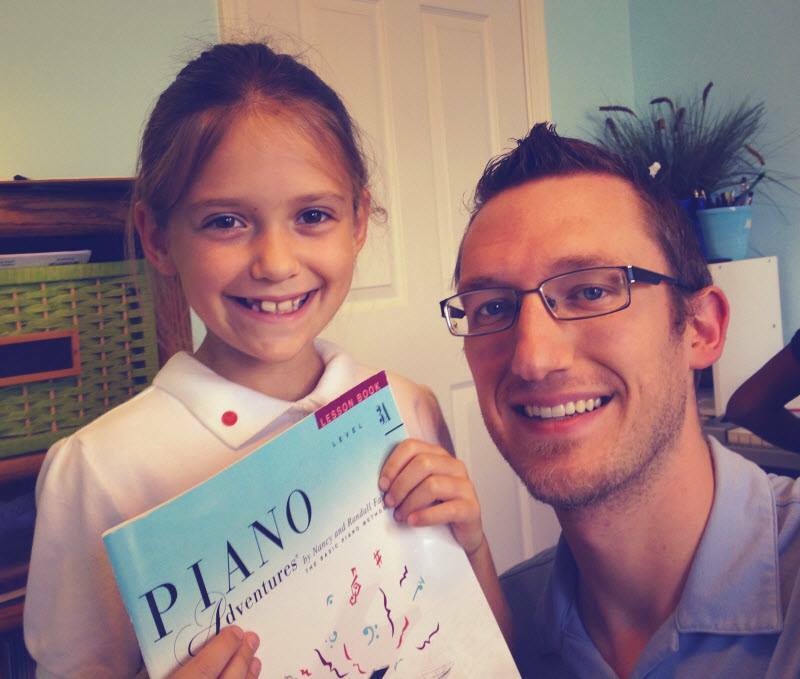 With over 70 active students, the Daniel Patterson Music Studio is Indianapolis’ largest private teaching studio. Kids love to come here! This is much larger than a normal private piano teacher usually has. What makes my Studio so different? I really believe that I have cracked the code in student motivation. I take a unique approach to teaching kids. Instead of the traditional, cranky teacher who demands that kids go home and learn their songs on their own… All students learn their music during their piano lesson. This means that students leave their lessons empowered and excited because of what they have already done! Right now, the Studio has over 70 kids enrolled in my weekly lesson program! We have kids from Greenwood, Perry, and Franklin Townships, plus students from St. Jude, St. John, Nativity, and even the Oaks and Herron downtown. The Studio is located near Southport and Arlington in Franklin Township. It is very accessible from Franklin, Perry, and Greenwood townships… even Whiteland and the near South side is only a 15 minute drive. My regular hours are from 1p – 8p, Monday through Thursday and 1p-6p on Fridays. I began playing at the age of four years old and studied under several teachers in the Indianapolis area. I chose to study music at the collegiate level at a private school in Florida. I graduated from college in 2004 with a bachelor of science in music education from Pensacola Christian College, having studied piano for four years. I had the privilege and opportunity to study under Daniel Nagy and Daisy de Luca Jaffe – concert pianists who have toured the world playing at venues throughout Europe, North America, and South America. Daisy de Luca Jaffe was trained by Magda Tagliferro, who was trained by Alfred Cortot – all three of these are internationally recognized names. And, if you go back just a few more teachers, you will find names like Decombes, Czerny, Diemer, Beethoven, Liszt, and Chopin.